Reporting by Illinois Public Radio’s Amanda Vinicky used in this report. The cuts Illinois Gov. Pat Quinn made to hospitals probably won’t be the final deal. The administration is using the move in an effort to further its agenda. Illinois reimburses hospitals when they take on low-income patients who are on Medicaid, and state law sets the rate hospitals are to be paid. Gov. Quinn’s budget cuts more than $270 million of these reimbursements, but the rate is the same. 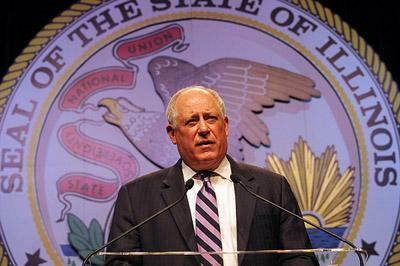 Unless legislators agree to lower the rate, Quinn’s cuts won’t really save the state money. Illinois will just run out of money for that purpose, then push off payments until the next fiscal year. David Vaught, Quinn’s budget Director, says the Governor doesn’t want to carry over bills. Rather, the plan is to force a restructuring of Medicaid rates, which Vaught says are outdated. Hospitals had requested the state pay them back later, rather than cut reimbursements. Illinois currently owes about $4 billion in overdue bills. Mere hours before the start of a new fiscal year, Ill. 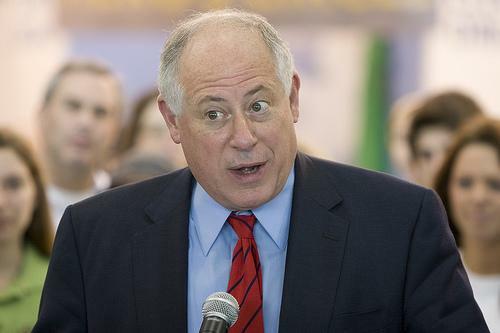 Governor Pat Quinn signed a new state budget into law. But not without making some changes to it. Immediately after legislators sent Quinn a budget, he panned it for not spending enough - especially when it comes to education.